one of the few things i really love about this time of year is that citrus gets really good. when the high in NYC promises to be something crazy like 18 degrees, peeling a clementine or segmenting a cara cara orange over my salad honestly makes me feel like i’m somewhere beautiful and warm. it tricks my brain. 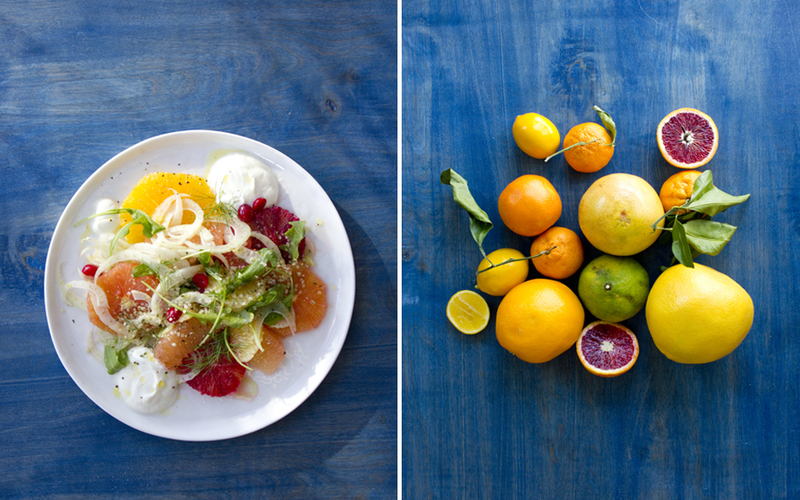 last winter, i kept ordering the citrus salad at one of my favorite restaurants over and over. it disappeared from the menu once spring hit, and i’ve been pining for it ever since. this is the version i make at home… it has a few additions, but it’s ever so lovely and quite easy, too. mix greek yogurt with honey. set aside. with a small, sharp knife, cut away all citrus peel, including the white pithy part. i like a combination of segmented citrus and sliced citrus for this salad, and would suggest segmenting the grapefruit and ugli fruit and slicing up the rest. 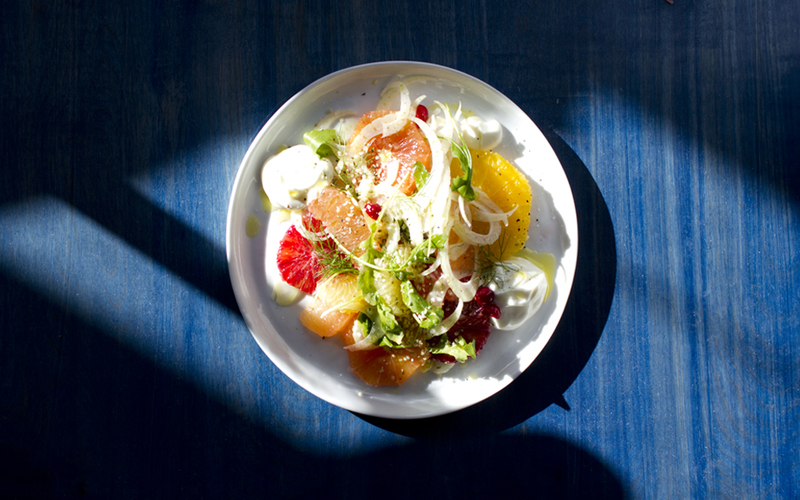 put all prepared citrus into a bowl with the sliced fennel, arugula, and pickled cranberries. toss with your hands to combine. transfer to a plate. spoon the honeyed greek yogurt onto the side. add sea salt and pepper to taste and drizzle with nice olive oil. give a generous sprinkle of the hemp seeds and tear some fennel fronds over the top, and you’re done. this salad creates its own vinaigrette as the juice from the citrus mixes with the olive oil, salt and pepper. it is so, so good, and pretty cleanse/detox friendly, if you’re into that this time of year. place 4 oz. of fresh or frozen cranberries into a container with a tight-fitting lid. bring 1 cup apple cider vinegar, 2 tablespoons each of salt and sugar, and 1 teaspoon each of black peppercorns and juniper berries to a boil. pour over cranberries and let sit for 2 hours or overnight. use the leftovers in any sort of quinoa or rice bowl, in a green salad, with leftover chicken, etc.